The Day Skipper Motor course will give you the confidence to take command and skipper a motor cruiser on day trips. 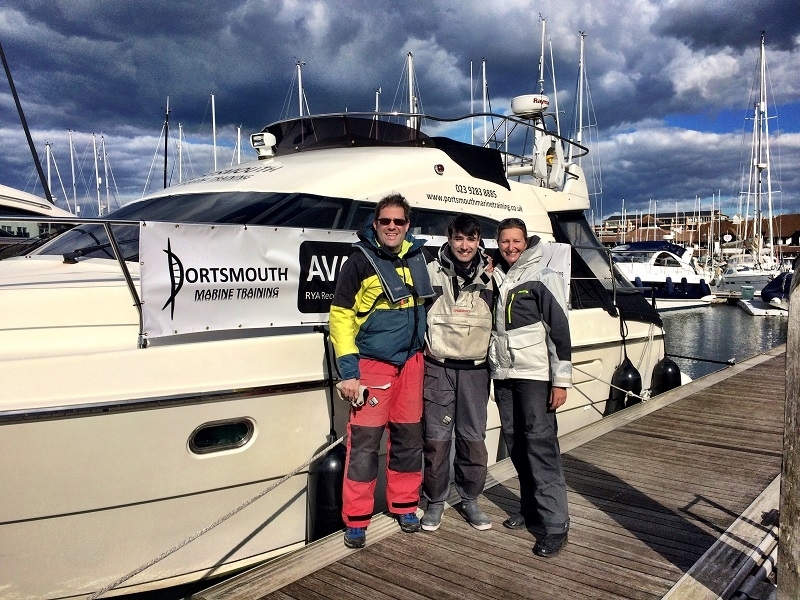 Course aims: The RYA Day Skipper Motor course will teach you to skipper a Motor Cruiser up to 15m in overall length. You will learn how to take responsibility for the vessel and crew, for daytime inshore coastal passages. The course concentrates primarily on boat handling and pilotage, giving you the confidence to take command. 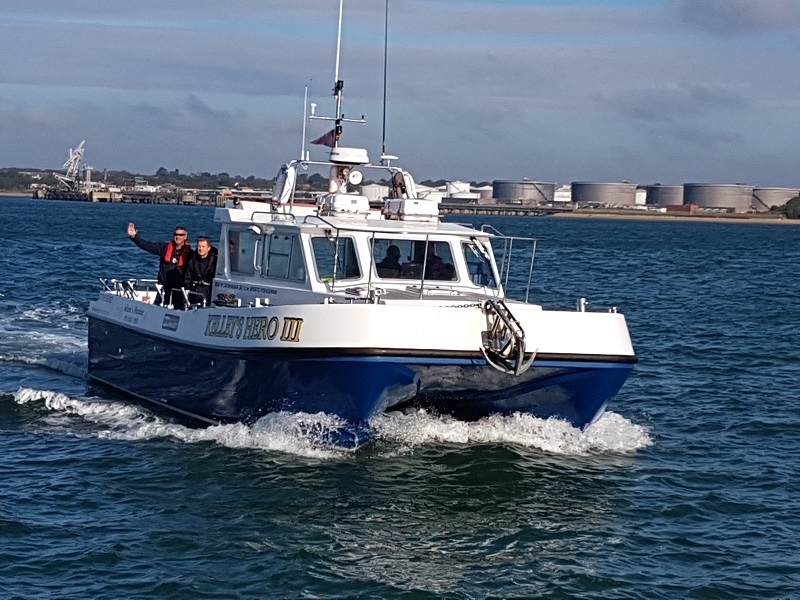 Course content: The Day Skipper Motor course covers man overboard recovery and other distress situations. The syllabus also includes anchoring, mooring, berthing under varying conditions, close quarters manoeuvring, and passage planning with particular emphasis on weather and tidal considerations. Course pre-requisites: Some experience of the sea, as well as a sound working knowledge of tidal navigation to a Day Skipper Theory level. Most of our Day Skipper Motor courses are run on our 40ft Azimut called “Gabriele”. She has twin 300hp engines and a flybridge. She has one double cabin and one twin cabin and two heads, should you wish to stay on board during the course. 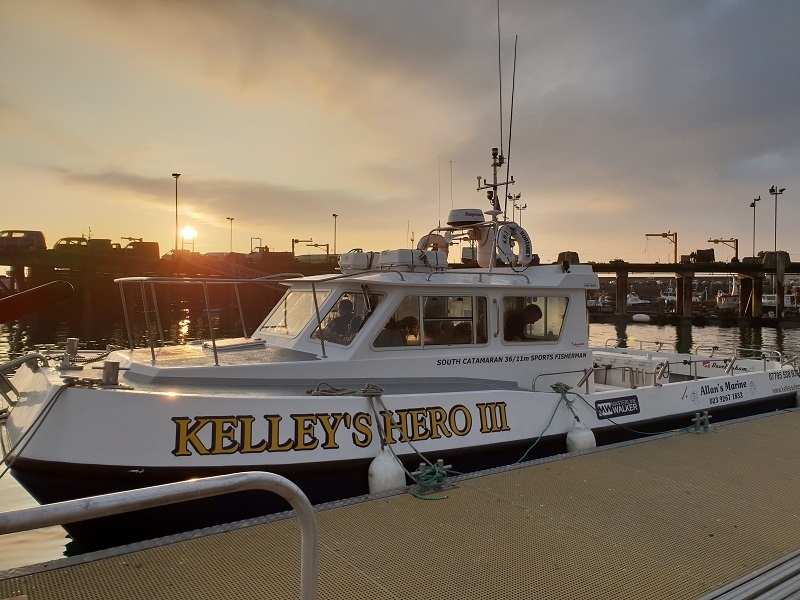 The course starting on 6th May is being taught on “Kelley’s Hero III”. She is a 12m South Catarmaran with twn 330hp engines. She is a hardy work boat and accommodation can be provided on-board if required. Please note there is no extra cost should you wish to stay on board during the course. Photos of both vessels can be found below.